The Beatles' 19th British single, Get Back was the first release by the group from their 1969 'back-to-basics' phase. Get Back is Paul. That's a better version of Lady Madonna. You know, a potboiler rewrite. The song began as a satirical and critical look at attitudes towards immigrants in Britain. McCartney intended to parody the negative attitudes that were prevalent among politicians and the press. Race issues evidently played on McCartney's mind during the Get Back sessions. He led The Beatles through Commonwealth, an unreleased improvised satire loosely based on British politician Enoch Powell's notorious 'Rivers of blood' speech. The most infamous of the unreleased Get Back versions is known as No Pakistanis, and contained the line "Don't dig no Pakistanis taking all the people's jobs". While mostly unfinished, the song did include a mumbled rhyming couplet which paired the words 'Puerto Rican' with 'mohican'. Despite being satirical in nature, it didn't prevent accusations of racism being levelled at McCartney for years to come, after the Get Back bootlegs became public. When we were doing Let It Be, there were a couple of verses to Get Back which were actually not racist at all – they were anti-racist. There were a lot of stories in the newspapers then about Pakistanis crowding out flats – you know, living 16 to a room or whatever. So in one of the verses of Get Back, which we were making up on the set of Let It Be, one of the outtakes has something about 'too many Pakistanis living in a council flat' – that's the line. Which to me was actually talking out against overcrowding for Pakistanis... If there was any group that was not racist, it was the Beatles. I mean, all our favourite people were always black. We were kind of the first people to open international eyes, in a way, to Motown. The origins of Get Back's chorus are unknown, although George Harrison's song Sour Milk Sea, demoed by The Beatles in 1968 and later recorded by Jackie Lomax, contains the refrain, "Get back to where you should be". John Lennon, however, later claimed that McCartney's words were directed towards Yoko Ono. I think there's some underlying thing about Yoko in there. You know, 'Get back to where you once belonged.' Every time he sang the line in the studio, he'd look at Yoko. Maybe he'll say I'm paranoid. You know, he can say, 'I'm a normal family man, those two are freaks.' That'll leave him a chance to say that one. The Beatles eventually realised that their intentions could be misconstrued, and the story of Jo Jo and Loretta Martin evolved. Many people have since claimed to be the Jo Jo and they're not, let me put that straight! I had no particular person in mind, again it was a fictional character, half man, half woman, all very ambiguous. I often left things ambiguous, I like doing that in my songs. Whatever the true meaning, 'Get back' served as a neat summary of The Beatles' back-to-basics musical intentions, and the song became the title track of what they intended to be their next album. Although two different versions of the LP were compiled by producer/engineer Glyn Johns, the songs were eventually remixed by Phil Spector and released as Let It Be. Get Back is The Beatles' new single. It's the first Beatles record which is as live as live can be, in this electronic age. There's no electronic whatchamacallit. Get Back is pure spring-time rock number. On the other side there's an equally live number called Don't Let Me Down. Paul's got this to say about Get Back: 'We were sitting in the studio and we made it up out of thin air... we started to write words there and then... when we finished it, we recorded it at Apple Studios and made it into a song to roller-coast by. P.S. John adds, it's John playing the fab live guitar solo. And now John on Don't Let Me Down: John says don't let me down about Don't Let Me Down. In Get Back and Don't Let Me Down, you'll find The Beatles, as nature intended. Some of Lennon’s best technical guitar – bar none. Generally a loose, occasionally sloppy guitarist, he really took it up a notch for those solos. You dont get to be the biggest act in the world with sloppy work – each member of the band was an excellent player in their own right and they never shied away from work – just look at their output. Bands these days can take years between albums, they appear like slackers compared to the Beatles. Don’t believe Chris. If you listen to the isolated tracks (available everywhere nowadays) you hear all kinds of slop and the occasional mistake. I agree w/DBueche on Lennon’s guitar work on Get Back. I saw a video clip in the studio(not on the roof)showing Lennon playing lead. Really good. I can’t find where I viewed the clip now. Anybody familiar with this? Maybe the Let It Be Movie? I’m confused why Get Back & Don’t Let Me Down is included on the Mono Box. In the USA at least, it was never in mono, the original 45 rpm was stereo for this. Was it released in mono for the UK? Yes, Get Back/Don’t Let Me Down was released in mono in the UK, which is why it is included on the 2009 Mono Masters CD since the proper UK versions have become the standards in the USA too. I love the video of this when they george during the solo and then realize he is not playing the cool solo. Actually Lewisohn states that the 27th version is used by Spector as the LP version. Check the 30 January 1969 entry. But the 28th was used as the single version. Check the 11 April 1969 entry. According to this the single and LP versions are different recordings. A take from 27 January was used for the album and single mix. 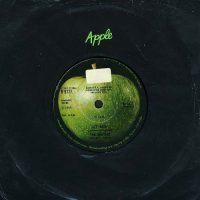 The coda of the single was recorded on 28 January, and edited to the 27 Jan take, and crowd noise/comments from the rooftop show was used on Phil Spector’s album mix. I’ve amended page two of the article to make this clearer. Much as I respect him, Mark Lewisohn’s accounts of the Get Back/Let It Be sessions really weren’t as thorough as those of the EMI studio sessions. In which day does No Pakistanies version was recorded? 9 January, but it was always called Get Back. Funny, I have noticed it but never thought much about it. What I do know is that if Get Back is playing in my head, my mind often wanders and Junior’s Farm takes over. That being said, the solo on JF was played by “Take me, down, Jimmy” McCoullough, not Paul. I’ve often wondered if Paul was the main reason for the breakup. 46 years later I’m still not certain but leaning more and more towards it. He just was and still is a bit jealous of John’s mind. It’s always the drugs, which leads to paranoia, which leads to the breakups. Going back, one of the reasons the other Beatles did not like Pete Best is that he did not party with them. Yoko Ono is often blamed, but it was not Yoko per se but the fact that, once John and Yoko became inseparable, they soon brought along drugs that the others did not want to be a part of. The drugs affected John’s once-prolific songwriting and his judgment, as he offered “Cold Turkey” and “Revolution No. 9” as singles. He also ran through a good amount of money just as things were starting to get lean with the Apple Corps fiasco. When Ringo left, he felt the others were all getting on well and that he was the odd man out. George felt the same when he left. Despite the critical words during their public divorce, Paul and John admired each other. Paul was desperate to keep the band going, and was clinically depressed after the split. He got a fair amount of backlash for announcing the split to promote McCartney, but the others knew that it was over. The more I read and think about it, the more I think it was John’s drug use, adding to his already present pretentiousness and anger issues, that split them up. But Paul and John were best when they worked together. JoJo was Linda McCartney’s ex husband. The house in Tuscon was given to her in the divorce settlement. It’s the house she died in. No …..she died in Great Britain surrounded by her entire family. Joseph See was her first husband and McCartney does not ever reference him. He was from Tucson and committed suicide there in 2000. But they all had an amicable relationship. He allowed McCartney to adopt his daughter. Why would Linda ever have gone back to Arizona to die? Nonsense. I knew that but needed a source. You quoted Wikipedia. You still need a source. “McCartney does not ever reference him…”? “Dear Boy” on the Ram album was about him. I think that Billy Preston wrote this song (and Let it Be). No one ever got billing like that- THE BEATLES WITH BILLY PRESTON for an intrumental solo. Clapton didn’t get THE BEATLES WITH ERIC CLAPTON for his solo on ‘while my guitar gently weeps’ and he was a STAR. And why had they played it already before they met billy the first time (not counting their meeting in 1962 or so)? I agree with you about the single and album using the same take after a couple of hours listening, so well done for spotting a mistake in the usually flawless Lewisoln books. It’s obviously the same take – but how do you know whether it was recorded on the 27th or 28th? Where can I hear the complete 28th january recording from which the coda was taken? John’s guitar work on “get back” is just brilliant. The little riffs, and the solo.. very good. Makes it more difficult to pay attention on other great aspects of the song, such as Billy Preston’s piano. Does anybody know about the third vocal in the middle eight, which comes immediately after the first guitar solo? We all know Paul sang the regular tune and John the lower. But if you listen to the “Love” version of Get Back, you can clearly hear the higher backing vocal (maybe Paul). I am a big fan of Get Back and have heard more than several hundred times each version of the song. On the LP and single versions, it is not clear whether there is the third vocal, but the Naked version clearly lacks it. In the three rooftop versions I can’t hear the third vocal, as they were all live and in the video George seemed not adding his back vocals to the song. But if you listen to the rehearsal version of Get Back on the same day, which is believed to be recorded from down the street as they set up for the roof top gig, you will hear the higher backing vocal in the middle eight. I understand that “Love” was produced under the supervision of George Martin and his son. But I don’t believe they borrowed any third party stuff that is not of the Beatle origin, i.e., the higher backing vocal part used in the Love version of Get Back must have been taken from some take of Get Back. Does anybody have idea on this? Great Paul McCartney rocker with always interesting discussions on it’s origin and intended meaning, as has been well covered already on this site. Fine lead guitar solo by John Lennon. I love it on the” Let It Be” film, where they sing this live on the Apple building rooftop. Likewise it’s flip side ” Don’t Let Me Down” is also showcased on this same rooftop set. ” Don’t Let Me Down” is also a great song, a heartfelt plea by John to Yoko. John and Paul’s duet in the chorus is brilliant. Get Back from 1969 is The Beatles worst single. A good song must have either tension — or a good melody. But Get Back has neither tension nor melody. And McCartney sings with a ridiculous childish little voice. It had never been a hit if it wasn´t The Beatles. The singles were better before Yesterday 1965, innovative and full of tension. “Yesterday got to his head”, Lennon said about McCartney. After Yesterday they released some singles by McCartney, all ordinary songs without tension. Lennon seems to have lost his self confidence, he wasn´t pushing. But the so called B-side Don´t Let Me Down by Lennon is quite superior; three melodies, heavy, bluesy and emotional. All totally your opinions Johan, and you know what they say about opinions…. Posting as Johan Cavalli, are we now, Mr. Jagger? All I can do is shake my head, Johan. … even your beloved John knew and said Get Back was a great record. Repeatedly. Give it up. You sound more and more ridiculous with every post. All I can do is shake my head, Johan……even your beloved John knew and repeatedly said that Get Back was a great record. Give it up. You sound more and more ridiculous with every post (a common trait in trolling). You should definitely send Sir Paul some writing tips — I’m sure he would be amused. To each his own. Music is art. I’m as big a Beatles’ fan as anyone, and Get Back has been one of my 5 favorites since it first came out. It’s got a forward moving rhythm to it (thanks Ringo) and relaxed quality to it. Love the song too, but I don’t think lennon’s solo is very good. Hearing john’s solo in the same song with Preston makes him sound like an amateur. You sure are full of yourself, aren’t you Johan? “A good song must have…..” LOL! Says who? You? Pbffft……..
You post with childish, self-centered, highly biased and bigoted prose. Your dual obsessions of loving all things Lennon and hating all things McCartney should be embarrassing you by now. Why they apparently aren’t, I will leave to your psychiatrist. I can’t decide which version of Get Back I prefer more for my own Beatles playlist of a custom “Let It Be” album. The single version, the Let it Be version, or the …Naked version. After listening to all 3 several times, I’m leaning towards the single version. Are you sure John Lennon plays the solo on Get Back ? Sad the Beatles didn’t record all. The covers in serious attempt. Also sad the group never recorded each Harrison song that was brought to the table. They could have pushed out more product in singles but I guess it was. Ego that got in the way and Harrison never forgave McCartney for he being pushed down. Lennon had the idea of the Get Back cover mirroring the Please Please me cover. He also recorded one after 909 sad he didn’t add in spite of all the danger. Had McCartney been a better diplomat in the group they would have continued. It’s the 22nd century and I can’t believe there are still people who believed the fault of their breakup lies on McCartney alone. Harrison and Lennon’s growing disinterest with the band after Epstein’s death, Lennon’s heavy drug abuse, Allan Klein taking advantage of their financial and management issues with the Apple company, Ono’s presence, the Beatles’ members own clashing creative interests and internal disputes – they all contributed to the breakup. And if we are simply talking about Harrison’s mistreatment, it was Lennon who was disparaging towards Harrison’s solo songs and skipping his sessions altogether. He even suggested to replace Harrison with Clapton when Harrison quit the band, which Starr quietly agreed and only McCartney vetoed against it. Yes, McCartney’s demanding and perfectionist attitudes also contributed to this problem but if you want to play the blaming game, you should point your finger to both McCartney /and/ Lennon. I always find it amusing when Paul McCartney is painted as some sort of dictator who tried to rule the band and that his behavior led to the split. The Beatles might have been finished years earlier without Paul’s urging to keep going and, frankly, his songwriting that reflected a popular sensibility that kept the band in the public eye. I have tremendous respect for George Harrison, but these stories about how he was suppressed by John Lennon and Paul are a little out of proportion. He had songs on singles, he had songs that led off albums/album sides. All the Beatles had stuff that was left off albums, and John had some of his best work relegated to B-sides. When one thinks of inequality, The Beatles fall far behind the Rolling Stones. George got more exposure than Bill Wyman, and Ringo Starr got more than Charlie Watts. In photographs, Paul never took center stage. Compare that to Tattoo You or the RS logo. So, were someone to get the real reason they broke up, this would bring George and John back from the dead and they would reunite? What a pant load. They were a group of kids, that became four separate, adult individuals. It’s called growing up and apart. Why can’t people accept it and go on with their lives? Dear Mr. Cavalli-Your hyper criticism of Sir Paul is duly noted, just as your other negative comments elsewhere (“Yesterday” for example). If possible try to be a little more open minded. This group would never have been THE Beatles as we know and love without the individual and combined talents, contributions and genius of each individual. Paul’s music is as good as John’s and vice versa, and that’s what made The Beatles so great. (George and Ringo were great, too.) True, Paul is far from perfect; but John was very flawed as well. Maybe these imperfections that went hand in hand with their many moments of genius are what created the chemistry that ultimately created the greatest rock/pop band of our lifetime. Take the good with the bad and be happy with the end result. Most if not all of The Beatles’ music was/is great regardless of the tension or lack thereof, or a great melody or lack of one, or who wrote wrote what part and when. I appreciate your passion for John. I am personally grateful that I grew up during this time to witness it all, I bet you are, too. I will now step off of my soap box and go listen to some great music. Any bass players around? Bass line in this song is simple in the record and its printed tabs, BUT have you noticed in the Let it Be Film all the different figures played by Paul during Jonh’s and Billy’s solos? Real Rock Bassplaying! Another thing, Ringo’s drumming. Impossible to reproduce. From the worst to the best tribute band; not even Paul’s bands have ever accomplished to make this song sound as The Beatles did. That drumming will never sound the same unless played by the one who did it originally. Great guitar solo by John, and Michael Lindsay-Hogg somehow managed to NOT film the entire solo or he edited out most of the solo from the film. The camera cuts to Ringo or somewhere else during the solo. I would love to see the entire solo if there is some unreleased footage. That’s such a screw up. If you watch that film and others of Lindsay-Hogg, you will see he was quite the amateur. I alway thought McCartney was hiding references to YOKO when he sang JOJO. Very cryptic lyrics.